Look no further than Kimmons Roofing LLC for your Wisconsin commercial roofing needs, near Merrill Wisconsin. We service many areas including Antigo, Elcho, Gleason, Deerbrook, Wittenberg, Birnamwood, Eland, Hately, Bowler, Shawano, Medford, Athens, White Lake, Langlade, Clintonville, Iola, Abbotsford, Marathon City, Tigerton, Wausau, Weston, Marshfield, Stevens Point, Plover, Wisconsin Rapids, Neilsville, Hatfield, Colma, Almond, Land O Lakes, Chippewa Falls, Appleton, Baraboo, Cashton, Suamico, Howard, Menasha, Rhinelander, Tomahawk, Schofield, Rothschildand, Rosholt, Kronenwetter, Mosinee, Eagle River, Phillips, many more. At Kimmons Roofing LLC, we provide only quality workmanship from the start of your project to the completion in Merrill, Wisconsin. Our entire team at Kimmons Roofing LLC are trained and certified Commercial Roofing Specialists. Our company is known for our prompt and professional service. 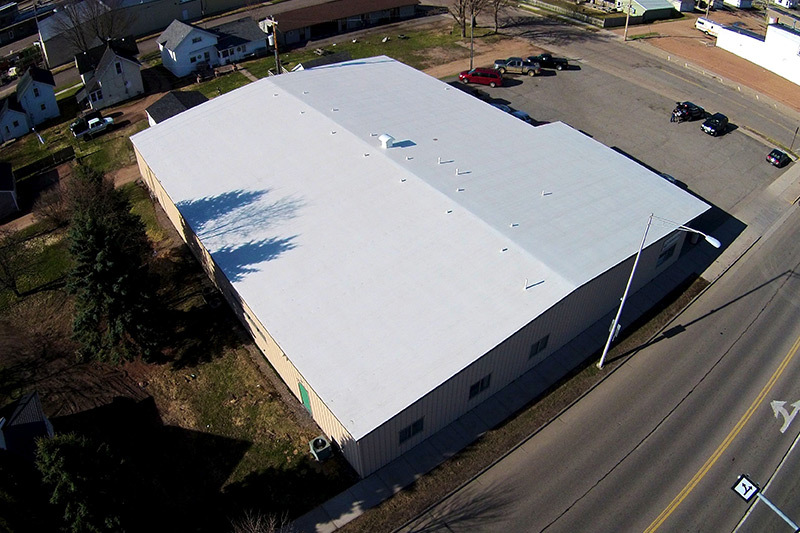 We provide Commercial Roofing in Antigo Wisconsin. Utilizing tons of industry knowledge – and a little elbow grease – we guarantee your roof will become a reliable shield for years to come. Let our commercial roofing experts at Kimmons Roofing LLC install your next Duro-Last roof with the same precision and skill we’ve provided our customers for decades. Duro-Last is the best commercial roofing system in the business in Antigo Wisconsin. Paired with the skill of the Kimmons Roofing LLC staff, you are guaranteed exceptional and affordable quality and service. Contact Kimmons Roofing LLC to discuss your specific commercial flat/low slope, Duro-Last roofing needs.